AppMire is a social app whose purpose is to spread recognition and good mood through a combination of encouraging illustrations and phrases. AppMire is created by a wish that we should think about how we talk to each other on social media. Today, an increasing tendency for digital media is experiencing people sending unpleasant and hateful messages to others. In other words, we are often not good at handling and talking properly on digital media because it is easy to run out of its responsibility and run away from its opinions. And that's a problem we want to do something about. The initiators of AppMire, Erin Magill and Sebastian Friis Thormod, has together with Headfitted, created a social platform based on their own experiences and experiences with poor behavior on social media. 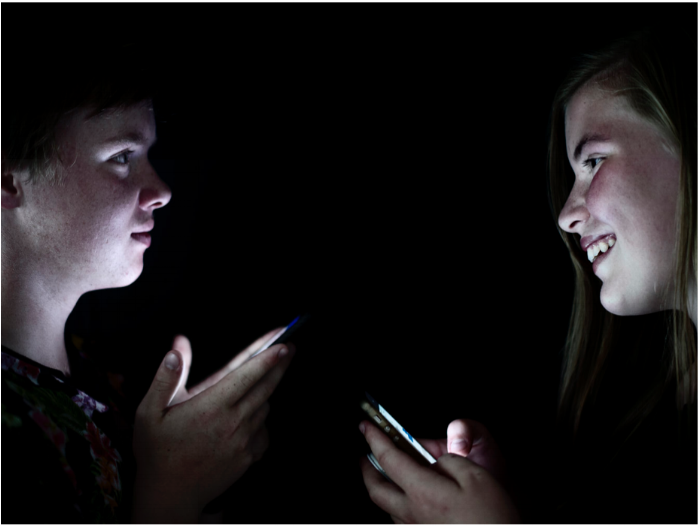 They have both experienced how online chats can evolve from sarcastic jokes to real disagreements and how online bullying only helps to aggravate a conflict. From here, the idea came to create an online space where people can congratulate people when they do something good - or give them a crunch when we see that others need an encouragement. In AppMire it is only possible to send messages with a positive vibe, because the only purpose is to recognize and motivate other people. The messages are automatically deleted after a while, since it is not about receiving many likes, or messages. The most important thing is to appreciate others and feel appreciated. AppMire is therefore for you who want to spread a good mood and who will remind others of how little it requires and how much it means that we are talking to each other properly. AppMire can be downloaded for free to all iOS and Android devices - but it is only in danish. In the concept development of AppMire, we focused on the app's simple work: that AppMire users can only send and receive positive messages. From here we worked on how the message combination of fun drawings and positively charged texts could awaken feelings such as happiness, empathy and care. Therefore, it was important to us that we gave the app a soft expression that spoke to people's feelings and sensitivity. Here we focused on involving the intended user group, to become more aware of what items a positive message should contain - and what made them happy. This resulted in a symbol-oriented style where users with free interpretation can deduce how the drawing is positive for them. Along with lyrics like "I'm crazy about your mood", we found a message combination that promotes how little a message is needed before others pull on the smileys. Photo by Sebastian Thormod & Erin Magill. Brought to the front of the newspaper Randers Amtsavis d. 14. juli.